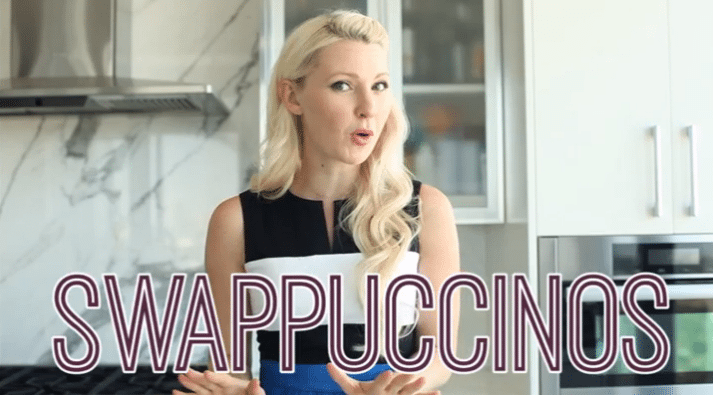 Healthy Homemade Frappuccino with 3 Dairy Free Flavours! 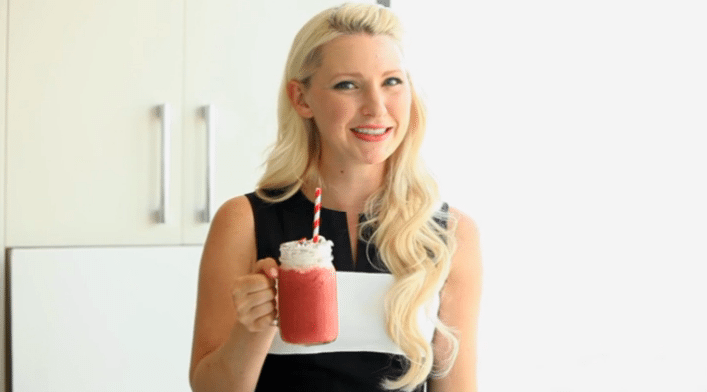 Three healthy homemade frappuccino recipes without dairy and all the added calories! Coffee is a beautiful thing. It helps me get through my workouts, workdays, and life in general. And when summer hits, it’s hard to resist heading straight for those frothy frozen frapucccinos at the ‘Bucks. Not only are they incredibly pricey, but they’re also all loaded with so much fat, sugar and artificial ingredients, you might as well be eating a mass produced dessert. 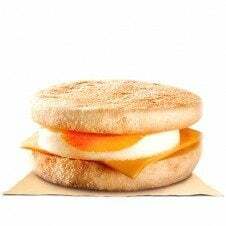 Some even pack as much as 600 calories each and more than 3 times you’re suggested intake of added sugar for the day- before you’ve even had breakfast! That’s not a drink- that’s an 8 AM dessert for a family for four! 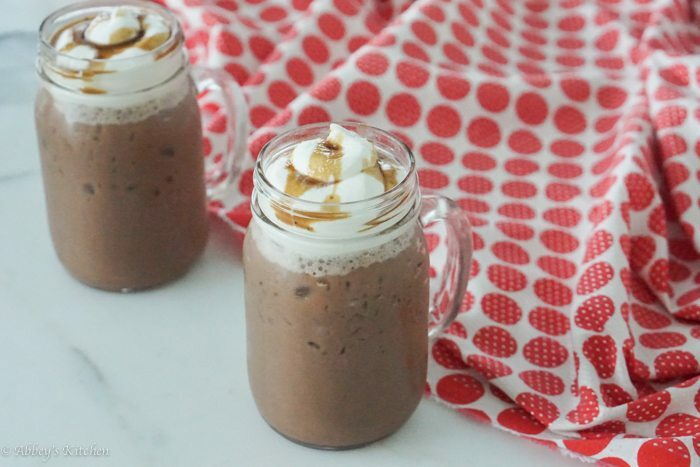 Just imagine how much better a homemade frappuccino would be – both for your wallet and your waistline. So that’s why I developed my 3 dairy-free swappuccinos (aka the homemade frappuccino) with no artificial sweeteners or flavours and a fraction of the calories, sugar and fact of your favourite frozen drinks. 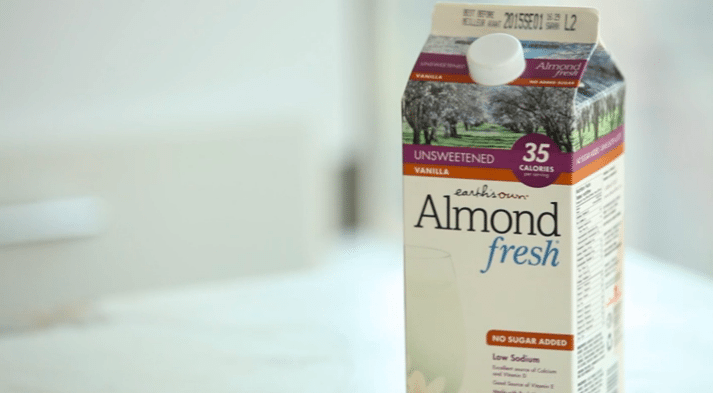 In all of my recipes, I’m using Almond Fresh Unsweetened Vanilla almond milk. Not only is it dairy and lactose free, but each cup gives you 30% of your daily needs for calcium, almost half your requirement for vitamin D and only 35 sugar-free calories- that’s just over 1/3 of the calories in skim milk! Hello bikini season! For every homemade frappuccino I came up with, I make a vegan whipped cream out of coconut milk. It’s best to pop your coconut milk in the freezer first to separate the solids so that you can whip it until thick and creamy with a teaspoon of vanilla. My first homemade frappuccino is a take on the Salted Caramel Mocha. This one requires a caramel which I make out of lite coconut milk and coconut sugar which is lower on the Glycemic Index than regular white or brown sugar. 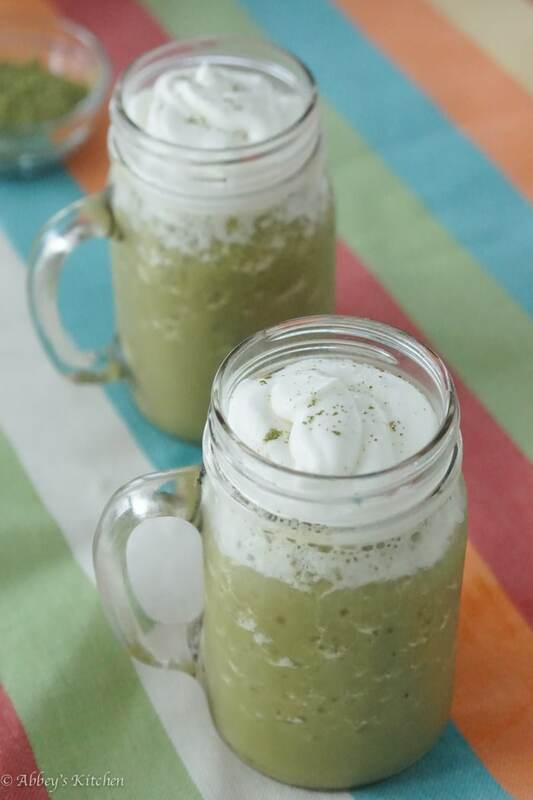 The next homemade frappuccino is my Green Tea Crème. This is ideal for those of you out there who like a frothy creamy cold drink but aren’t really interested in coffee. It’s cool, I got you’re back. Finally, it’s all about my Red Velvet. Have you heard about Starbuck’s crazy new line up dessert-themed of frapps? Well, I got you covered for that too with way less sugar and fat than the original calorie bomb. You’re welcome. More of a visual person? Check out our latest youtube video here! 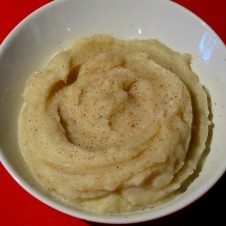 What are some of your homemade frappuccino recipes? Do you have a guilty pleasure frapp flavour? Leave a comment and I’ll try to lighten it up! The next homemade frappuccino is my Green Tea Crème. This is ideal for those of you out there who like a frothy creamy cold drink but aren’t really interested in coffee. In a large blender, pulse the almond milk, matcha, vanilla, bananas, honey and ice until the ice reaches a shaved consistency. Pour into four cups. Top with a tablespoon of the coconut whipped cream and sprinkle with a bit of matcha tea powder. Finally, it's all about my Red Velvet. I got you covered for that too with way less sugar and fat than the original calorie bomb. In a large blender, pulse the coffee, Almond Milk, raspberries, bananas, cocoa powder, honey and ice until the ice reaches a shaved consistency. Pour into four cups. Top with a tablespoon of the coconut vegan whipped cream and sprinkle with dark chocolate and freeze-dried raspberries. I need to try this! I’m a huge frap fan (aka addict lol)! Haha same! That’s why I made these recipes! 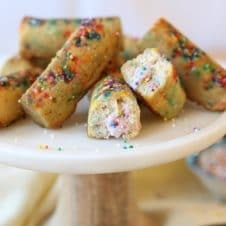 These recipes look amazing. I have to confess that I had a terrible, awful, no good “cappuccino” today. It was a pre-mixed K-cup that my husband got from work. Someone gave it to him and it was salted caramel and he thought I might like it. Well, under normal circumstances, yes. It smelled amazing. But I could taste the artificial flavors. It was awful. My point is — your recipes look amazing and I will never drink the fake stuff again. Yuck. thank you so much glad you liked! So far this is new so we are just getting used to it ourselves. This is awesome! Now I can drinks these swappuccinos and not feel guilty about the incredible amount of sugar and fat I’m putting into my body. For sure agreed! Glad you like!